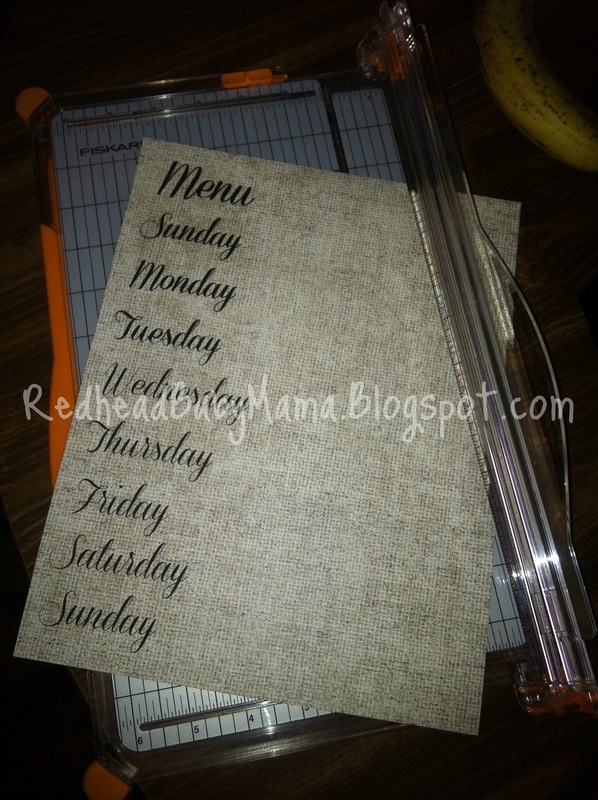 After mocking up this template for the day labels, I printed them out using the smaller (page size) of scrapbooking paper. 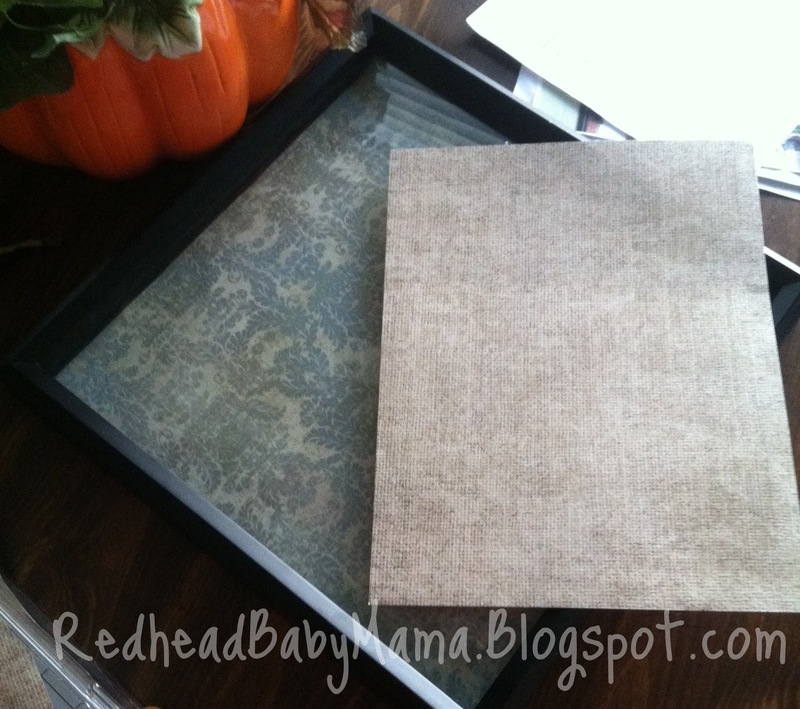 (Burlap pattern in taupe and linen). I cut them square by using my straight paper cutter. To affix them to the larger page, I used my scrapbooking glue dots, although any clear-drying glue will work. Red hasn’t started many crafts yet, so Elmer’s is hard to find around here. 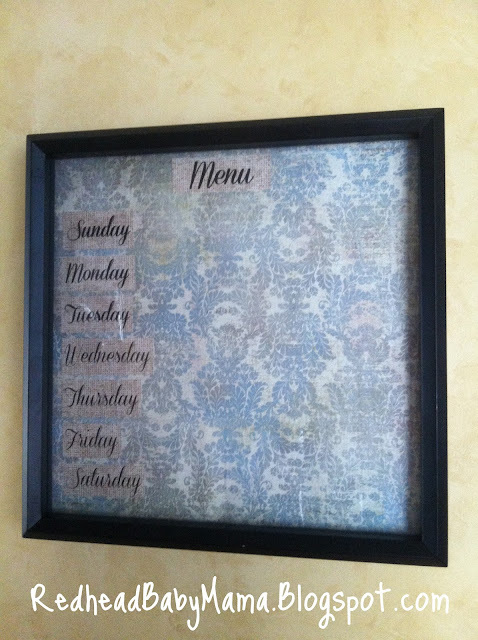 Simply affix your days in a line on the larger paper, and make sure they are about 1″ from the edge, so that the frame does not cover them. Fit the page into the frame, and use a dry erase marker to change your menu weekly, or shuffle your meals around to suit your schedule! Hubs has never been so happy to have seen a Pinterest project come to fruition. He eagerly checks the board each day to see what we have planned, picks out meat to defrost, and sometimes, beats me to writing the lists! 🙂 It certainly helped minimize the guess work and grocery bill and increase flexibility! I answer the dinner question no less than eleventy billion times a week. The problem is, I’ve got a week of meals but I don’t like to decide ahead of time which is for what day…but the girls would love this! 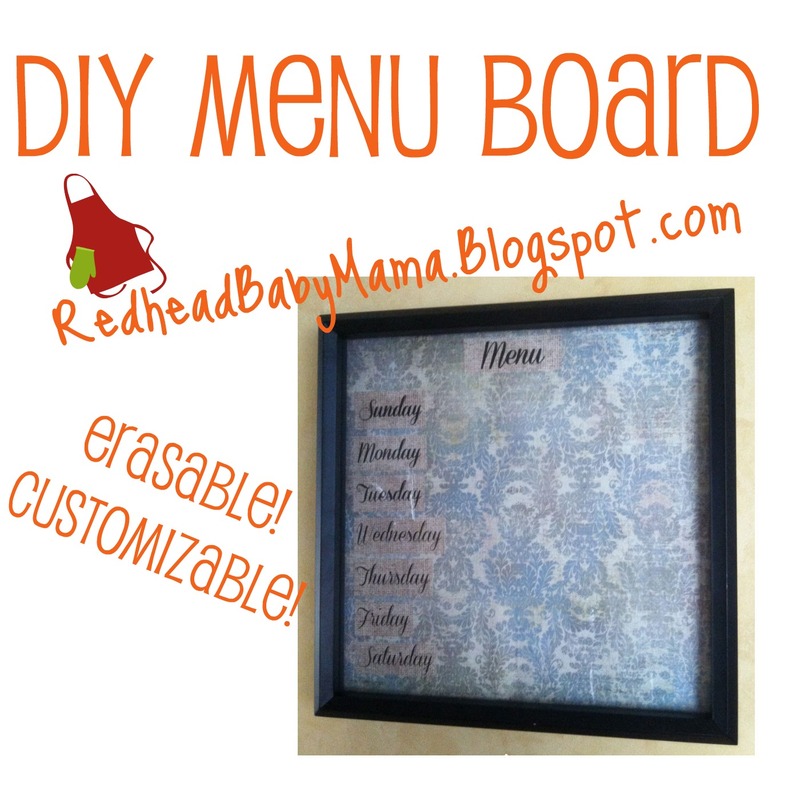 You could always make a slightly larger board and list the meals that you have the ingredients to make: then erase them as you use them up! 🙂 Glad the girls think it’s a fun idea – Hubs LOVES it. Randy and I have been planning to do this too! I love the way yours turned out! Very cute! Super cute! The Bellards have been planning on making one for sometime now!